Ozma is the game's super-hard optional boss, and vexes many players due to its cheap, quick-hitting attacks. With the right preparation and a bit of strategy, however, the honor of slaying Ozma - and the prizes that come with it - can be yours! Ozma is located in Chocobo's Air Garden, the final dig site in the Chocobo Hot & Cold minigame. To reach the garden, you'll need to find its current location (its five possible locations are shown as dots on our handy Chocobo Map) and use a Dead Pepper. Due to the nature of the sidequest, the earliest point one can get there is on Disc 3 around the time the Hilde Garde 3 comes into the player's possession. From now on until the end of the game, Ozma - who is found by inspecting the rock structure in the northwest corner of the garden a few times - is able to be fought. I recommend using a party of Zidane, Steiner or Freya (more on that in a bit), Quina, and Eiko to defeat Ozma and steal all his items ( Elixir, Robe Of Lords, Dark Matter, Pumice Piece). Zidane's level should be in the 70s and the others in the mid to high 60s. Make sure no character's level is a multiple of 4 or 5 in order to avoid Lv4 Holy and Lv5 Death, which Ozma likes to cast. Equip each character with the best equipment you have, then make sure to equip Egoist's Armlet to Zidane, a Demon's Mail to Steiner, and Pumice Pieces to Quina and Eiko (to absorb Shadow and Holy). For abilities, make sure everyone has Auto-Haste, Auto-Regen, Auto-Potion, Clear Headed, and Antibody equipped. For Zidane, make sure he also has Bandit, Mug, and Master Thief equipped - all these will aid in stealing Ozma's items. For Quina and Eiko, make sure they also have Loudmouth equipped to protect against Silence. Equipping any additional abilities will make this battle easier, such as HP+10% for Zidane, HP+10% and HP+20% for Steiner, and Half MP both for Quina and Eiko. If the player completed the Friendly Monsters quest satisfactorily, Ozma can be targeted by all physical attacks and becomes weak to Shadow rather than absorbing it. Since Doomsday hits all targets on the field, it's better to try and absorb it rather than nullify. As soon as the battle begins, the number one priority should be having Quina cast Auto-Life each party member. Start with Zidane since he is your strongest character, then move to Eiko, Steiner, and Quina in that order. Once everyone has Auto-Life cast on them, have Quina cast Frog Drop. The damage Frog Drop causes depends on how many frogs you've caught in Qu's Marshes. I had caught 99 at the time (the minimum to obtain Quina's ultimate weapon) and Frog Drop was doing about 6,700 HP damage for me. Eiko should be casting Curaga to the entire party every round. This may seem like overkill, but you never know when Ozma will unleash a devastating attack or two before it's Eiko's turn again. In addition to Curaga, having Eiko in your party is good because if two or more of your party members are wiped out (most likely by Meteor or Curse), she can summon Phoenix who will revive all of your fallen comrades. There is also a chance that if you entire party gets wiped out, Phoenix will arise and cast Rebirth Flame which restores your entire party to full health! The more Phoenix Pinions you have in your inventory, the greater the chance of this happening. If Steiner trances, then just have him do regular attacks to save MP. You should still be doing 9,999 HP damage with each hit. If Zidane trances, unleash Grand Lethal, but don't kill Ozma too early if you still have items to steal. Remember he has four items - Elixir, Robe Of Lords, Dark Matter, Pumice Piece. If Eiko trances, then cast Curaga on the entire party and Holy on Ozma (but only if his lighter colored half is on top, otherwise he will absorb Holy). Quina's trance is pretty much useless in this battle. Now the good thing about having Auto-Potion equipped on everybody is because it also increases the amount of time that your party can gain HP through Auto-Regen. Your party should be immune to Ozma's Doomsday, Lv4 Holy, and Lv5 Death attacks if you followed the recommended steps in the preparation section above. The only other status ailments you really need to worry about are Mini and Berserk. Whenever this happens, just have Quina or Steiner use a Remedy to cure Mini or Gysahl Greens to cure Berserk. Also have Quina or Steiner use Elixirs on any of your party members who may be getting low on MP. 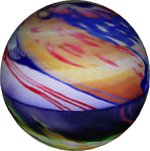 Ozma has 55,535 HP, so if you are keeping track of your attacks on him and haven't stolen everything you want yet, then hold back from killing him until you do. Just make sure to keep Auto-Life cast on everyone and your HP levels high. If you follow these steps, your battle with Ozma should be much easier and you will get to score some great rare items. After you win the battle, Ozma will drop a Dark Matter, plus Mene will give an Ozma Card and Strategy Guide key item. Congratulations, you have just beaten the hardest boss in Final Fantasy IX!